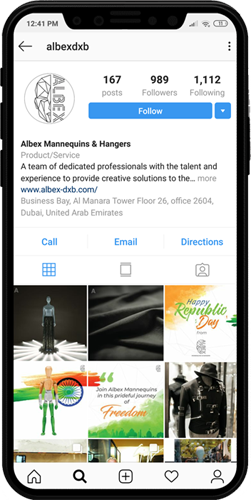 Albex Mannequins & Hangers that produce retail solutions from standard garment hangers to bespoke mannequins as per brand requirements. Prior to our work, Albex’s social media had no particular direction and/or strategy. With Tahawal, not only have we increased their followers, we have also created a beautiful, great-looking social media that is aligned with their branding. Along with social media management, they also get digital visibility through search engine advertising – in the GCC, India and Canada.